Alwinco Alwinco’s (ALWays IN COntrol) approach to security is holistic and we look at the risks and solutions from every angle. None of these angles benefits us in any way as we do not sell or install or get a slice of the profit-pie at the end of the day. The solutions we recommend are purely because it fits your specific risk. To sum it up, we are INDEPENDENT. As Security Risk Assessors, our aim is to continuously educate and convince those in leadership positions regarding the importance and value of ensuring that regular Independent Security Risk Assessments are conducted. We strive to educate and familiarise as many people and entities within all the different sectors about the Security Risk Assessment and the numerous benefits thereof. Through empowering individuals and organisations with the necessary and relevant knowledge and training, Alwinco will provide everyone with the means and methods in which to effectively guard and secure their fixed properties against crime. We have been invited on numerous occasions to act as guest speakers on both international and national platform on a variety of subjects regarding or relating to Security. There has been active participation in seminars, conferences, corporate functions, expos and exhibitions to mention but a few. We regularly attend several business forums, security meetings, community meetings and SAPS meetings, most of which we chair. The sharing of knowledge and networking is of a great importance to us and we enjoy and appreciate such opportunities as made available to us. 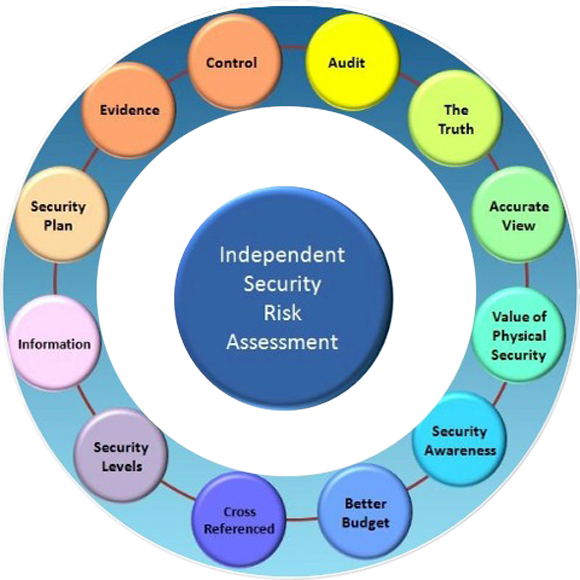 We actively endeavour to educate all about the Independent Security Risk Assessment through articles, blogs, online discussions, newsletters and publications such as in the Hi-Tech Security Solutions magazine. A Security Risk Assessment is a rather new and unfamiliar concept in South Africa. Further misunderstandings are generally caused by the fact that we do not all speak the same ‘security’ language.